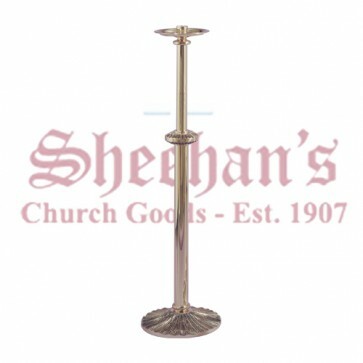 Floor Candlestick of a combination of high polish and cast textured bronze with hand painted enamel on base. Can be ordered at a fixed height of 42" or as a processional, which separates at the node. 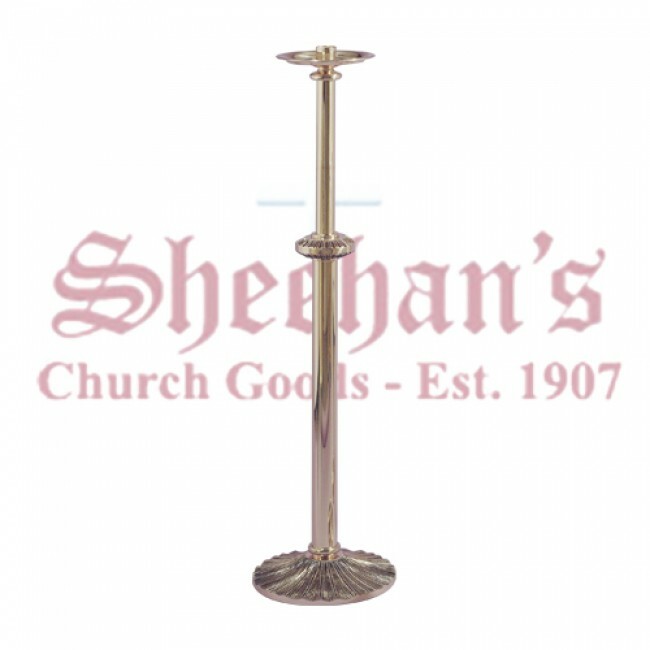 To prevent tarnishing, processional tube is coated with a clear baked on powder coat finish.